The stock USB-C power adapter for Macbook 12 (2015/2016) charges 2.0A at 14.5V (29W) (while it also supports output of 2.4A at 5.2V). The Macbook battery is 41Wh (or 39Wh for the older model) so the charging time is around 2 hours. The same goes for the smaller 5000mAh version of Xiaomi powerbank. It just charges slower and has significantly less capacity. Roughly to fill 1/3 of total Macbook battery capacity. 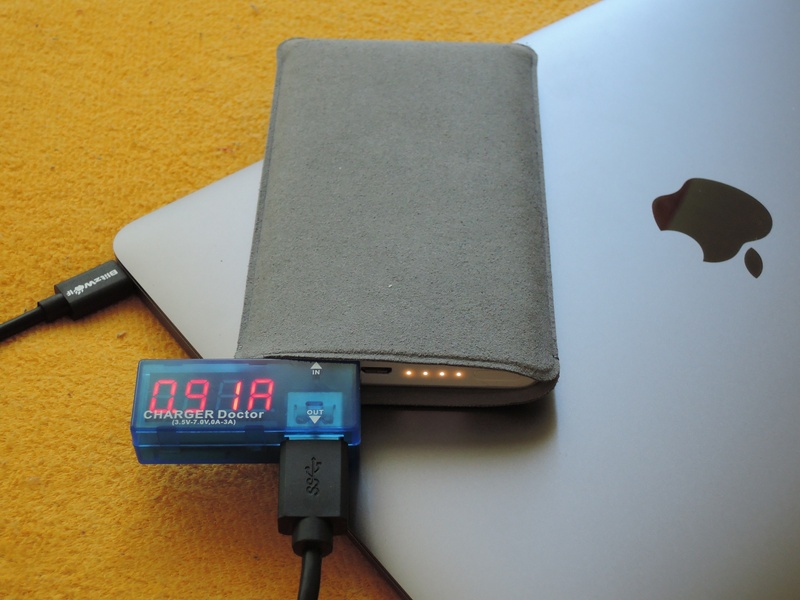 Just like powerbanks, even regular AC to USB-A adapters charge Macbook 12. 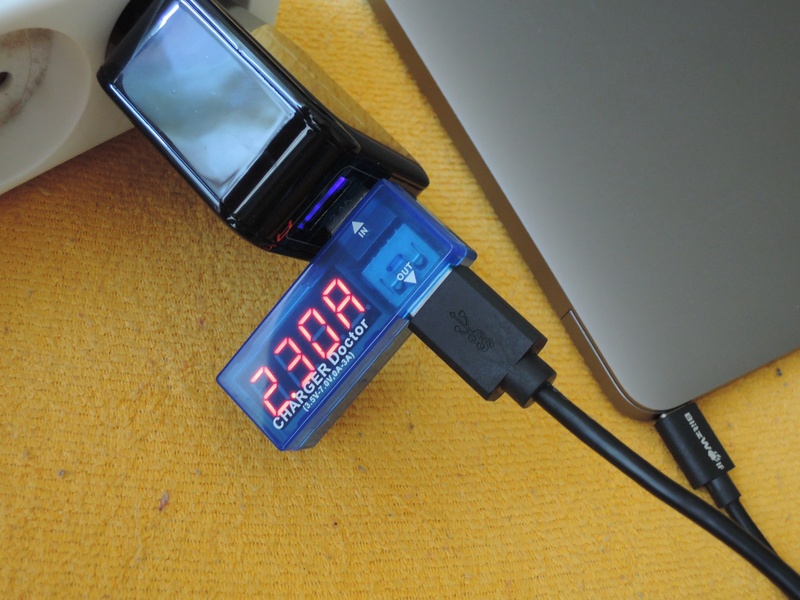 The adapter in the following picture is rated 5V 2.4A so the actual output likely matches the maximum while the voltage is much more stable than from powerbanks. So a good USB-A charger will charge Macbook at 1/3 speed of the original power adapter. Hi, I have the exact same setup, but with the new 13 inch macbook pro, but it wont charge. It stops charging after 3 seconds after plugging in. Any ideas please? Thank you. Check the charging info in “System Information” (Hardware -> Power -> AC Charger Information). In my case it reports Wattage as low as 5 W and says “Charging: No” but it still charges. You may need to close the lid and wait to actually see the battery percentage increase. iPads also reports that battery is not charging when connected to PCs but they still do charge (only slower). Thanks for getting back to me. Unfortunately it says Connected: No, Charging: No. The only thing it does is that the top menu bar changes to charging for about three seconds, it says power source: Charger, but then it goes back to battery. 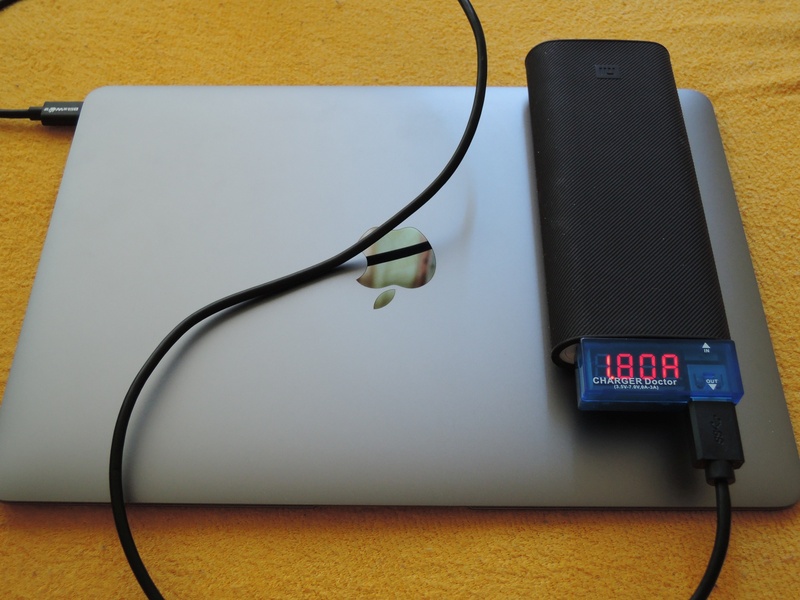 I am beginning to think the Macbook pros do not have this power bank charging capability. Any ideas will be appreciated. Thanks.